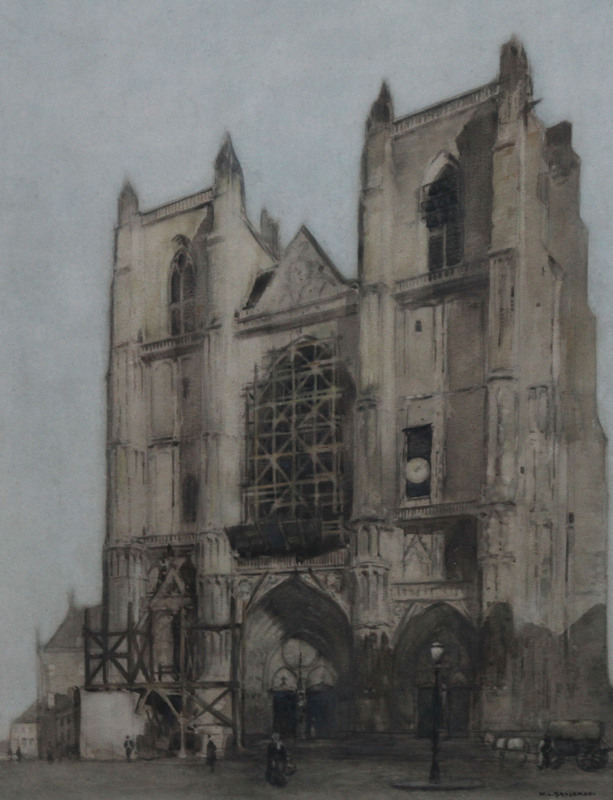 A fine large watercolour by British/Dutch listed artist Willem Leendert Bruckman which depicts a cathedral or church building mid restoration with scaffolding up. On ground level are passers by and a horse and cart. A fine painting, possibly with a French location. 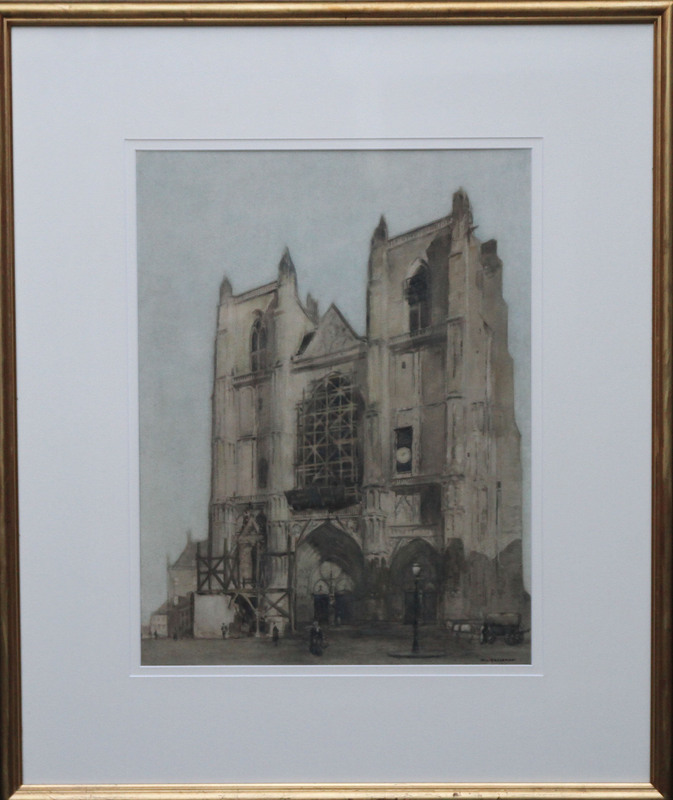 Housed in a frame with mount, 29 inches by 25 inches, in excellent gallery condition. Willim Leendert Bruckman(1866-1928) was a Painter, architect and illustrator born in the Hague, Holland. He attended the Académie of Fine Arts in his native city where he studied both architecture and painting.